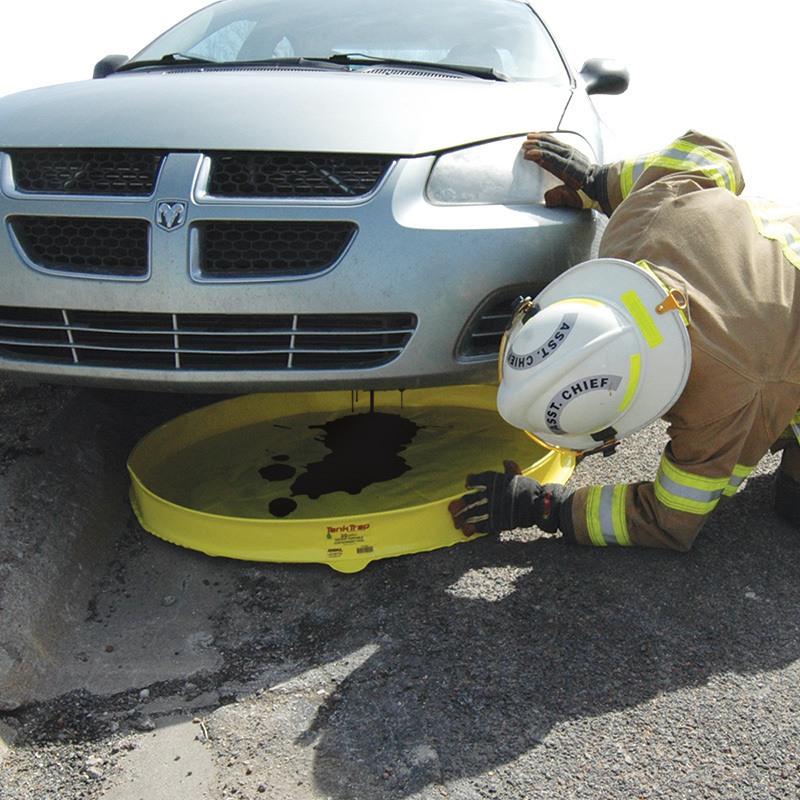 Andax Industries manufactures and innovates products for the leak- and spill-control, secondary containment, and emergency preparedness markets. With over 40 years of experience, Andax designs, engineers and manufactures our own products in the USA. At Andax, we strive to meet and exceed your expectations. We know you have many choices and we look forward to the opportunity to earn your business. Andax is on the cutting edge with new, innovative and unique products. Whether it is spill control, secondary containment, emergency preparedness and decontamination, safety products, flashlights, or Pelican™ storage cases--Andax has what you need. And if we don’t already have it on the shelf, we can make it. Andax provides spill control-- we have patented the most innovative and customer friendly spill control products in the business. From spill pacs to our spill trailers, we have what you need to contain and clean up everything from the smallest shop spills to a real emergency. 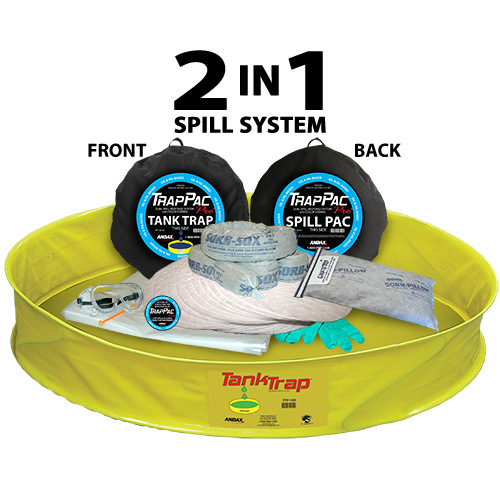 The Spill Preparedness Control Center includes four of the Patented Andax Pac Spill Kits: Combo Pac™, Chemical & Hazmat Pac™, Oil & Oil-Based Pac™ and Battery Pac™. Each Pac has a unique color coded label that matches the enclosed color-matched equipment labels which are provided with each Pac. Just place appropriate color-matched equipment labels on equipment that may leak or may be a source of a potential spill. Should a leak or spill occur, you’ll be able to simply color-match the equipment label to the correct Pac label color to assist you in responding correctly. For larger spills, Andax offers barrels, pallets, trailers and many other configurations which can be customized to your specific requirements. Give us a call today at 800-999-1358. 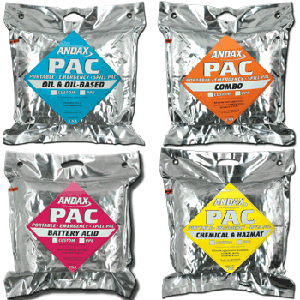 Andax has the products you need for secondary containment. Whether it's our pop up pools, spill decks, leaking valve and flange devices, spill trays or transformer sacs--we have the product you want. We can also customize a product just for you. Your spill plan is only as good as your sorbents! So make your plan work with Andax Sorbents! When it comes to soaking up the spill, Andax Sorbents lead the way. Our melt-blown polypropylene offers the best value for your dollar with lots and lots of options for size, capacity and application to meet your needs. Let us help you keep your facility safe and clean. Call our friendly customer service department and we will be glad to help you choose the right products. With Andax on your side, safety is no accident! When you have to respond....time means lives! That's why the engineers at Andax spent so much time working with responders when we developed our Decontamination (De-Con) line. We focused on functionality, portability, ease of use and cost effectiveness. When you need to make the decision to purchase decontamination equipment let Andax help you choose. Ambulatory and non-ambulatory decon systems, decon trailers, portable water & air heaters as well as many other options--we have them all. Call our knowledgeable sales team for assistance with your decon requirements. 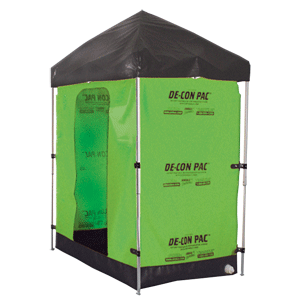 We manufacture all standard Pacs in "De-Con green." 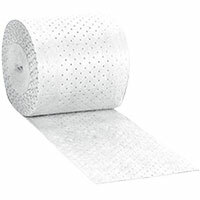 These are the same liners you rely on from Andax Industries with the same top quality and durability. Please call us with your comments or questions at 800-999-1358. 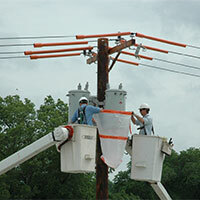 Electrical utilities need products to assist in the task of generating and distributing power. If you have leaking valves or flanges, insulator bushings, transformers at the substation or on poles, or general leaks and spills to address, Andax has the solution you are seeking. 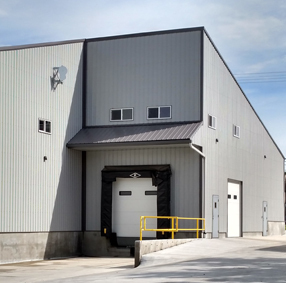 Whether your facility is a major industry in the nation or a family-owned business, Andax offers products that will assist you with flexible film liners, aerosol can disposal, storage and containment, maintenance and repair, lighting and cases. We also carry accessories for many products that enhance their performance. The gear you need. The protection you expect. 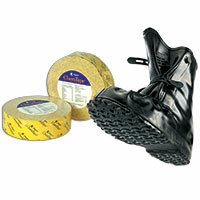 When you’re called to the scene, you need the best Personal Protection Equipment available. Andax offers the complete line of Lakeland ChemMax® protective suits that meet OSHA Standard Levels A, B, C and D.
Additionally we carry the fully encapsulated Interceptor® PPE suits, CBRN gloves and overboots from Airboss Defense® and ChemTape® from Kappler®. Let us know how we can help. Just call our friendly customer service department at 1-800-999-1358. 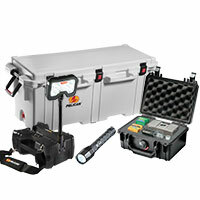 Andax carries the full line of Pelican™ brand cases and lights. For over 30 years, Pelican Products has built a reputation for manufacturing the toughest Protector Cases in the world. Designed for extreme protection during storage and transport, these cases have interior options available for extra protection and are watertight. Lighting Tools are a core element of every toolbox. Pelican understands the critical importance of this tool, and provides a wide range of Lighting Systems to support every type of user, from professionals to everyday do-it-yourself hobbyists. No matter what the project, we have a product to suit your needs! Andax Industries is proud to be a Certified Core Dealer for Pelican Products. 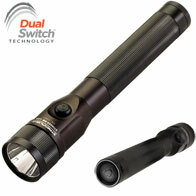 Andax offers the complete line of Streamlight® Flashlights, options, accessories and replacement parts. Streamlight...Do we need to say more? Whether you are going into battle, a burning building or trying to find the fuse panel in a storm, Streamlight Flashlights are the lights that professionals know and trust. Recognized around the world as the leading provider of high-performing, super bright, portable lights in both rechargeable and non-rechargeable models. Andax Industries is proud to be an Authorized Service Center for all Streamlight® products. Andax believes you deserve the best. 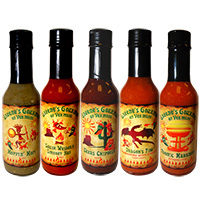 That’s why as our premium we stock only the best in hot sauces. We have 5 levels of Hot Sauce to choose from - starting with mid-range Hoppin' Hopi and South Western Smokey Red or you can live dangerously and choose the Texas Chipotle. Or try some Dragon's Fire Habanero or the Atomic Habanero—but be prepared to sweat! You can purchase any or all of these flavors individually at the indicated price, OR redeem your reward points to earn free bottles!